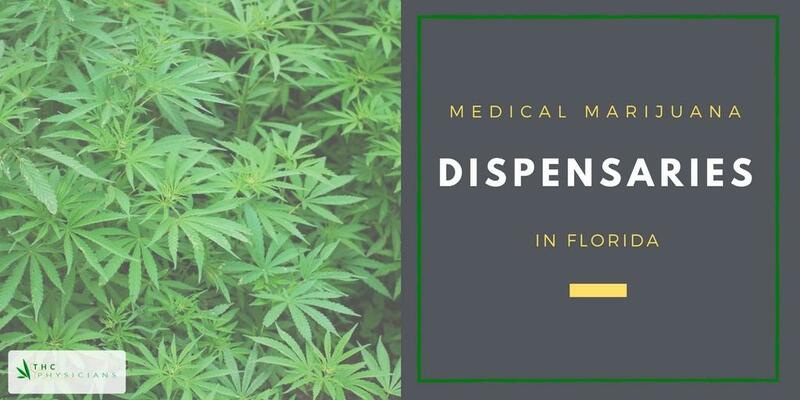 THERE ARE CURRENTLY A HANDFUL OF LICENSED DISPENSING ORGANIZATIONS IN FLORIDA RECOGNIZED BY THE GOVERNMENT TO LEGALLY CULTIVATE, PROCESS AND DISPENSE MEDICAL MARIJUANA TO QUALIFIED PATIENTS AND THEIR LEGAL REPRESENTATIVES. Click on the marker location closest to you to expand locations and to find a Florida Marijuana dispensary near you. Also known as MÜV, AltMed Florida stems from a long history in agriculture and plant science. Most notably, the brand received awards for medical marijuana products in Arizona. These same products are the one's that are available for Florida medical marijuana patients. MÜV also offers direct home delivery. Also known as Aphria, Liberty Health Sciences is an international leader in medical cannabis with locations in the U.S. and Canada. They consistently produce high-quality, 100% greenhouse grown cannabis safe for use in treating a multitude of ailments. Their pharmaceutical-grade products are available as cannabis capsules, oral solutions and THC & CBD vaporizers. Aphria also offers direct home delivery. Formally known as Modern Health Concepts, Curaleaf was the first Medical Marijuana Treatment Center in South Florida. This family-owned, third-generation farm develops safe, effective, and innovative medical marijuana products. Led by a team of physicians, pharmacists, and medical experts, Curaleaf uses medically precise and technologically advanced production techniques to produce exceptional products their patients can trust. 910 W. Inter. Speedway Blvd. GrowHealthy Holdings, LLC and its family of companies are positioned to become one of America’s largest and most trusted chains of medical marijuana thanks to its partnership with four leading Central Florida nurseries: McCrory’s Sunny Hill Nursery, Agri-Starts, Peckett’s and Eve’s, each of whom bring 30 years of experience and expertise in Florida agriculture. Grow Healthy is in the process of adding more locations within Florida. Harvest is a new player to the Florida medical marijuana dispensary game with a home base in Kissimmee, FL. Harvest is in the process of adding more locations within Florida. Whether your medical marijuana ordering physicians recommends CBD or High-THC products, Knox has several options to address your qualified health condition. Their product line includes Sativa, Indica and Hybrid products that come in vaporizers, cartridges and drops. What’s more, they happily deliver their products to their patients free of charge. MedMen has a national presence in the medical marijuana growing and dispensary space but is one of the newer players in Florida. They operate growing facilities using the latest in agronomic technology and sustainable techniques, and their manufacturing facilities use standards comparable to those in the biotech and pharmaceutical industries. MedMen is in the process of adding more locations within Florida. Operating the largest cannabis greenhouse in the state of Florida, Surterra’s plants are grown with no harmful chemicals or ingredients. This natural growth process and their refinement techniques yield industry-leading products made with 90%+ pure cannabis oil. Customers can expect a positive experience in their well-designed Wellness Centers set up to make their customers feel at home. A giant in Florida’s medical marijuana market, Trulieve owns and operates dozens of dispensaries scattered across the state. The first to bring a dispensary to locations such as Bradenton, St. Petersburg and Jacksonville, they specialize in hand-grown plants nurtured in environments specially designed to reduce unwanted chemicals and pests, bringing their patrons the relief they need with a product they can trust. VidaCann operates one of the largest growing facilities in the state and had one of the most widespread brick-and-mortar operations. They use cGMP and adhere to strict testing and safety protocols. This Colorado-based, Family-Owned business is setting up shop in Florida. Green Solutions high-quality products have earned them over 70 awards from well-known, highly competitive Cannabis competitions in the United States and around the world. Known for their exceptional customer service, patrons can expect concierge-level expertise and a wide range of cannabis products. The Green Solution offers delivery limited to within a 120 mile radius from Gainesville, FL. Columbia Care Florida prides itself on providing pharmaceutical-grade products to qualifying patients in the State of Florida. Currently, the company is only providing home delivery of its products to patients registered with the state. Columbia Care offers delivery throughout the State of Florida. KSGNF is a delivery-only Florida medical marijuana dispensary that provides state-of-the-art cultivation, production, and processing techniques. KSGNF offers delivery throughout the State of Florida.